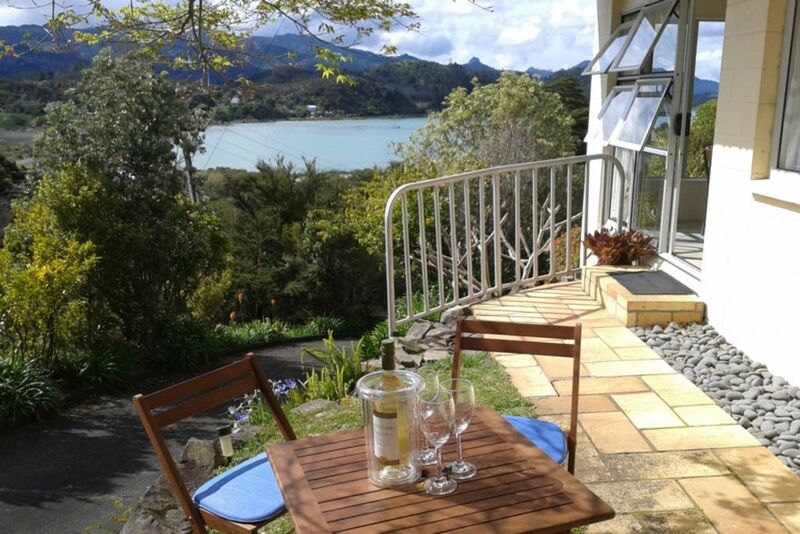 Appartement indépendant situé au calme surplombant la baie de McGregor dans le port de Coromandel et offrant une magnifique toile de fond des chaînes de Coromandel, des terres agricoles et des zones humides. Il y a deux plages sûres à 5 minutes à pied. Isolé Wyuna Bay est à 5 minutes en voiture. La ville prospère de Coromandel, avec ses excellents cafés et restaurants, est à seulement 3 km. Coromandel Town est réputée pour son atmosphère de village branchée et détendue, ses œuvres d'art et ses travaux manuels créés par des artisans locaux. N'oubliez pas de rendre visite à la Driving Creek Railway and Pottery de Barry Brickell. Si vous avez un bateau, il existe de nombreuses installations de lancement locales. Si vous souhaitez aller pêcher mais que vous n’avez pas de bateau, il existe de nombreuses options de charter locales. Argent comptant ou chèque seulement. Fumer est autorisé à l'extérieur seulement. Thanks very much Gaylene for a fantastic stay. Lovely, quiet location and great host. The house was very clean and tidy, with all the beds made and towels provided just like a motel, but better. The kids loved it and were excited about the view, sleeping in bunk beds, the little basket of toys and the complimentary breakfast cereals. The host was lovely, with great communication and was on-site to greet us and when we checked out. We would be very happy to stay there again. So glad that you & the family enjoyed your stay. I do like to provide my guests with those little extras to make their time enjoyable. Glad you enjoyed your stay (& the tomatoes). You are welcome back any time. We had a pleasant stay.The host was very accomodating of our last minute request and the apartment is clean, cosy and well stocked with essentials.Highly recommended!!! Had a lovely stay here. Gaylene was very helpful with any questions and even gave us extra veges (yum tomatoes!) from her garden. Coromandel township was a great base for exploring the West Coromandel, though it's a short drive (40 min approx) over to beautiful beaches on the East (Whitianga, Whangapoua, New Chums). 5 min walk down to Long Bay or McGregor Bay for beautiful sunsets. Especially loved the bach's shower after a day at the beach, great water pressure and we never ran out of hot water, even with 5 of us. Kitchen well stocked with utensils, very quiet, peaceful location. Would stay again. So glad you enjoyed your stay & made the best of your time here. It certainly is a great place to make as a holiday base. Hope you also enjoyed the coffee (real) & ice cream cones at Long Bay as well. You are very welcome back any time.